Organizations around the globe are putting serious effort into digital transformation. There are many very compelling reasons for doing so. Digitally transformed companies are more profitable, less likely to lose customers and have lower operating costs. To really see the benefits of digital transformation, though, organizations need to implement a well defined strategy to accomplish digital maturity. This means providing the kind of informative, relevant digital communications that customers want, across a variety of channels. In order to understand why digital maturity is so important, it’s worth taking a deeper look at the business imperatives. According to leading research house Gartner, digital business will represent 36% of a business’s overall revenue by 2020. Meanwhile, IDC predicts that by 2022, 80% of revenue growth will depend on digital offerings and operations. Those dates are in the near future, but digital transformation is already having a massive impact on businesses. The area where this is most noticeable is in customer communications. Highly engaged customers buy 90% more frequently, spend 60% more per purchase, and have 3 times the annual value (compared to the average customer). 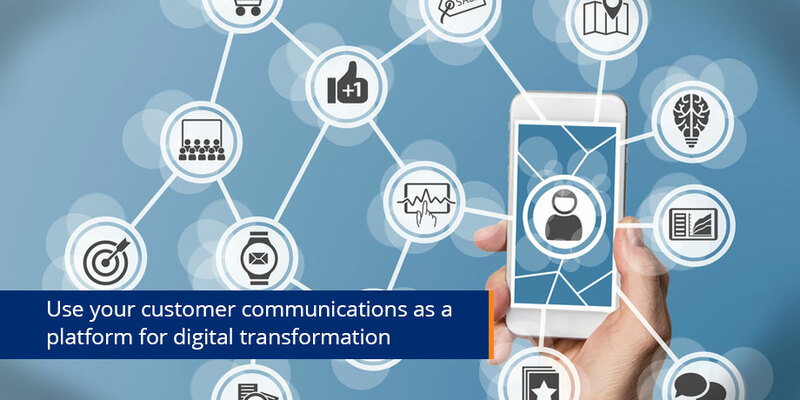 When it comes to powering the digital transformation that creates those engaged customers, digital communication is a great place to start. It’s not only more manageable and tangible, it also provides real returns, allowing businesses to achieve significant results ‒ both in the long and short-term. More importantly, the same customers that you’re switching to digital via your communication efforts, can show you the way when it comes to digital transformation. As they’re already digitally transformed. In an ‘always-on’ world, where the average person touches their smartphone thousands of times a day, your customers expect to be able to view the communications you send them at whatever time and on whatever device they choose. Hardly surprising then, that as many as 77% of consumers say it’s easy to communicate digitally with a brand. Add in the operational cost savings, the reduction in errors, increased efficiency and compliance that comes with digital transformation and it becomes a no-brainer. Of course, you can’t simply digitally transform your customer communications overnight. As with the digital transformation process as a whole, you need a cohesive plan. Firstly, you need to understand your customers’ behaviour when it comes to digital communications. It’s important, for example, to recognize that 60% of customers report switching between contact channels, based on their current whereabouts and activities. This means it’s imperative that a business is able to communicate effectively in a variety of ways. With this kind of information at hand, you can benchmark your business against a maturity model, designed to understand your position vis-a-vie digital communication transformation. This, in turn, allows you to map the next steps in the digital transformation of your business’s communication strategy and, ultimately, reap the rewards of digital maturity. Once you’ve achieved digital maturity in your customer communications, you’ll find it much easier to get the rest of your organization onboard with digital transformation. Digital transformation can be daunting for any organization, but the task needn’t be paralyzing. In fact, by starting with customer communications, you can make the transformation process genuinely exciting. 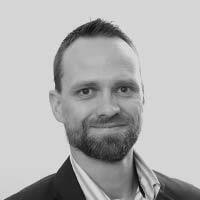 Brent Haumann is the Chief Experience Officer (CXO) at Striata and an enthusiastic futurist. He is responsible for development strategy, operations and resourcing. When not applying his skills to platform development methodologies and finding the best developers, he is an avid reader on social economics and disruptive technologies that promise to fundamentally change how people live, work, and play.